Yes, it is yet another yummy breakfast/ brunch recipe. As you know I am the MOPS Hostess at our church and am always looking for new tasty breakfast treats to share with my friends. I really liked this broccoli quiche muffin which I made for our meeting last week. Enjoy! 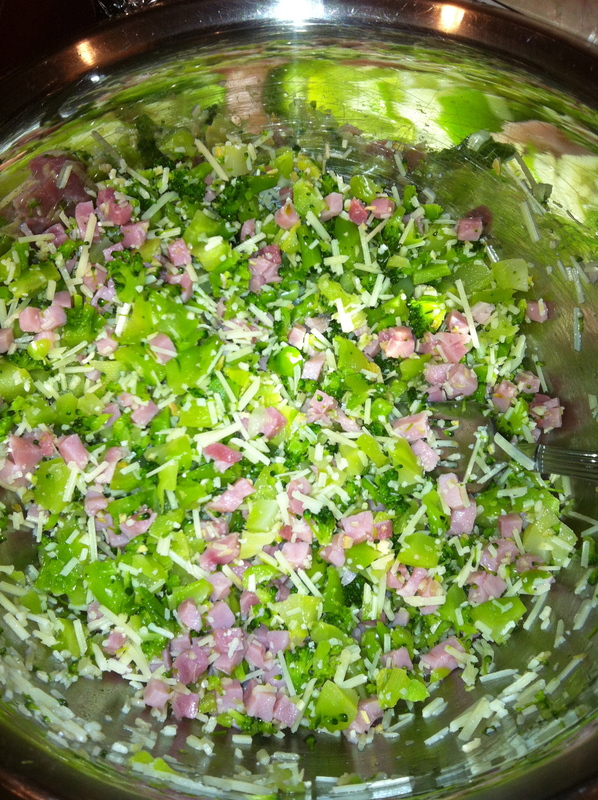 Combine broccoli, ham, onion, cheese. Beat eggs until frothy, then add oil and mix well. 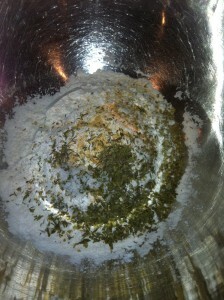 Combine all dry ingredient - the dried herbs smell great! 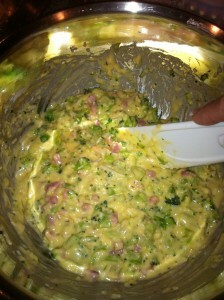 Add the egg mixture to the dry ingredients, and broccoli mixture. Mix until just moistend. Fill greased muffin cup two-thirds. 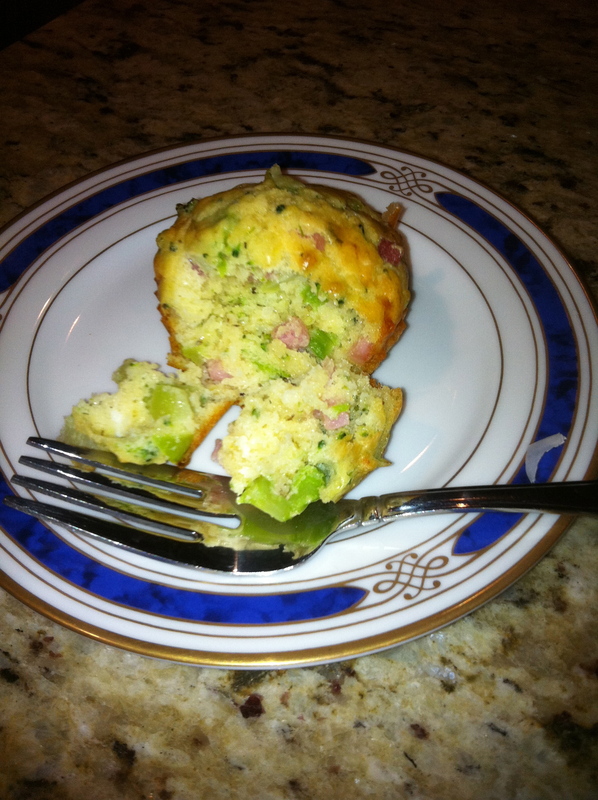 Combine the broccoli, onion, ham, cheese; set aside in a mixing bowl, beat eggs until frothy. Add oil; mix well. 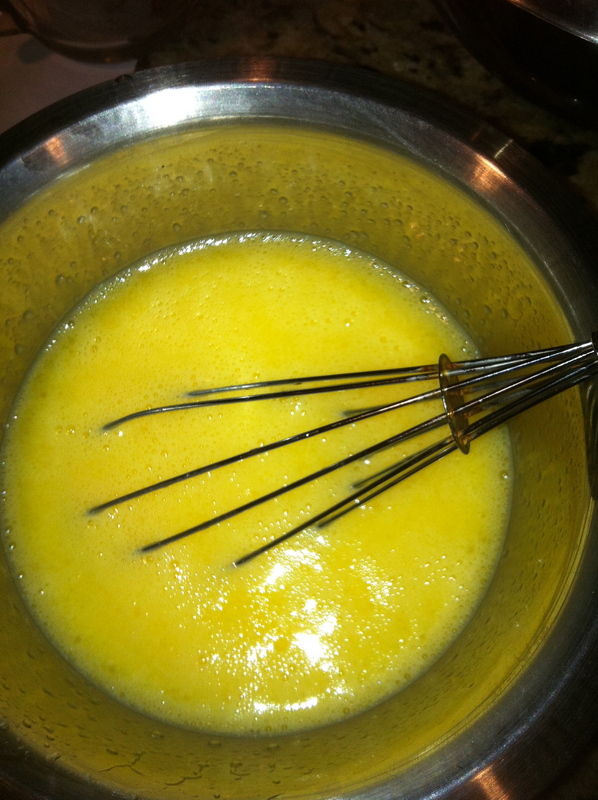 Combine dry ingredients; add to the egg mixture just until moistened. 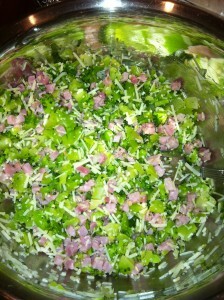 Fold in broccoli mixture. Fill greased muffin cups two-thirds full. Bake at 375 degrees for 18-22 minutes or until muffins test done. Cool for 10 minutes; remove from pan to a wire rack. My thoughts: Next time I will try grated Swiss cheese instead of the recommended Parmesan cheese. I think I would prefer that flavor better with the broccoli and ham. Also, I am not one to want thing salty. I hardly EVER add salt to my food – however, I think this recipe could use a little more salt. It just needed that little extra seasoning. Other than that – the muffins were great. I loved when my boys were young and we went to MOPS, what fun! Thanks for hosting! The muffins look great! Enjoy my apple “pizza”…. have a great week! Your muffins look delicious, they would be great for a luncheon. I am sharing my End Of Season Soup this week. Thanks for hosting and hope you are having a wonderful week! Yummmmmmm!!! Sounds wonderful! I may have to try this one! Thanks for sharing it! I love the combination of broccoli, ham, and cheese; great recipe. Thanks for hosting. I’ve linked up my Chocolate Coffee Icebox Cake. OMG those look amazing! I’m trying them for breakfast. Thanks for hosting, I added my Grandma’s recipe for Caramelized Carrots. 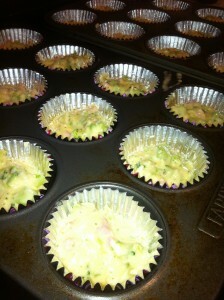 This is too funny–my post is also for broccoli mini quiches today. Will have to try your version–love that it uses fresh herbs. I always enjoyed going to Mops when my kids were little too! I have never made a quiche before but yours looks so easy to do. I just might have to try it out:-) Thank you for sharing with us and for hosting the link up. Lisa, thanks for hosting. Your quiche looks wonderful, makes me hungry for breakfast!! Oooh! These look yummy! You could even change up the ingredients a bit and vary the type of quiche. Yum! Thanks for hosting!! Your quiche muffins look SO good!! mmm i love quiche! i’m trying to be low carb…i wonder if i could do these sans flour? Thanks for another tasty recipe! Can’t wait to make this for my MOPS group! I know they will love it! Oh how fun! I love all the individual breakfast items that you’ve been making. These look great. I may have to try these out on the wee ones to see what they’ll eat! Thanks for hosting! Everything looks so yummy!